What are we talking about when we’re talking about short films? 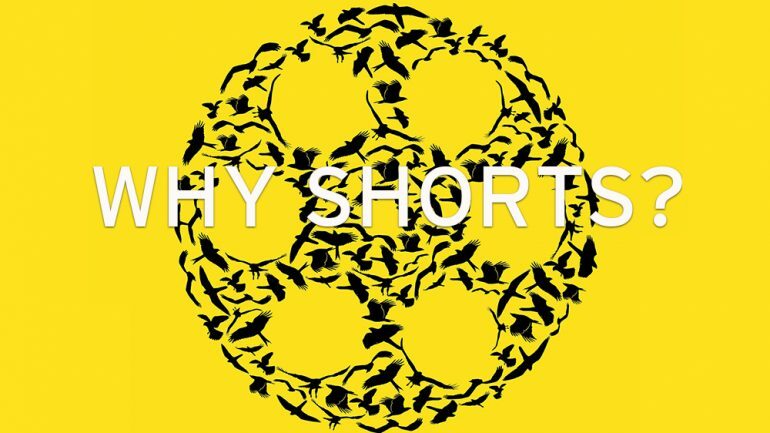 Nitehawk Shorts Festival’s WHY SHORTS? panel unpacks the current exciting, challenging, and poignant state of short filmmaking with Eleanor Wilson (Independent Filmmaker & Commercial Producer), Kentucker Audley (Filmmaker and Actor, runs No Budge), Mridu Chandra (Director IF/Then Short Docs, Tribeca Film Institute) and Ina Pira (Curator, Vimeo). Moderated by Matthew Jacobs, Entertainment Reporter at HuffPo. Presented with Huffington Post Arts & Culture. Hosted by our media sponsor, Huffington Post Arts & Culture. FREE! Meet in Nitehawk’s Lo-Res Bar at 5pm. RSVP to shorts@nitehawkcinema.com. Kentucker Audley is a filmmaker, actor and programmer. “One of American independent cinema’s most vital figures,” says Paste Magazine. His latest film Sylvio debuted at SXSW 2017, and he has starred in films such as Christmas, Again and Sun Don’t Shine. Also, he runs NoBudge which screens new indie short films and features. Mridu Chandra is the Director of IF/Then- a new initiative developed by Tribeca Film Institute to stimulate the production and multi-platform distribution of short form documentary storytelling. She is a veteran producer of award-winning documentaries and independent feature films that explore topics of civil rights and peace, gender and sexuality, environmental justice, and the law. Ina Pira curates Vimeo’s Staff Picks and Vimeo on Demand. Prior to this, Ina worked as a Senior Programmer for the Hamptons International Film Festival, the Montclair Film Festival, and the Sarasota Film Festival. In addition to her programming work, Ina has helped manage and select scripts for the Hamptons Screenwriters Lab and other year-round programs. Ina has served on festival juries and has spoken to numerous groups about film festivals, online programming, and digital distribution. Eleanor Wilson is a NY based writer/director/producer from Adelaide, Australia. In addition to making films, she is a graduate of the Neighborhood Playhouse School of the Theatre, co-founder of the Picture Farm Film Festival, and a freelance commercial producer. She is an alumna of the Film Victoria Producer’s Attachment Program and the Spruceton Inn Artists Residency. Her next film, Save Me was written as part of the Write By The Sea residency at the Lighthouse International Film Festival. Her award winning short films have played at countless festivals throughout the world, with the latest Everything All At Once premiering on sundance.tv. Her first short film, Possum, won best short film at the inaugural Nitehawk Shorts Fest in 2013. She is currently producing a feature documentary, Exposure, with Holly Morris, director of The Babushkas Of Chernobyl. As a commercial producer, her clients include Acne, Apple, Coach, City Parks Alliance, ESPN, Fossil, Pepsi and West Elm.